Applicable vehicles for Odometer correction. Applicable to most vehicles up to 2010. COM connector and support USB connector as well, Mileage correction C reset your the mileage by directly input the data. 1.Clip POMONA 5208 8pin + 5250 8pin + 5251 14pin Tool New Arrival ! 3.Correct mileage for BMW odometers with M35080 chip. It can support BMW E65 / E38/ E39/ E46, etc. 1.Mileage correction for BMW CAS / MB EZS / DASHBOARDS / MODULES / with 912 / 9s12 / 9s12x MCU, in circuit programming ( no need removing mcu ). 2.It can read / edit / write eeprom of MCU, mileage calculation integrated in soft. 2.Support for the new 2009 7 Series (F01/F02) CAS4 odometer and chips read and write data, safe and effective. 3.Applicable to all kinds of EIS/CAS/SRS/ECU automotive modules. 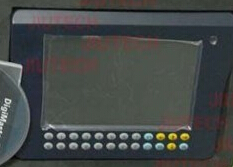 2.Mainly used for instrument clusters adjusting and audio decoding and also for memory programming. 3.Updating through Internet, instruction guiding, automatically reading and adjusting no need to calculations and fully supports latest vehicles. 2.This adapter only work if you already have a DIGIMASTER II with the latest UPDATE. 3.This adapter is an original accessory for this machine only.